Back to the Old House: New Listing! In Contract! A great price point for a convertible, 2 bedroom loft home! MOVE-IN READY In Contract! 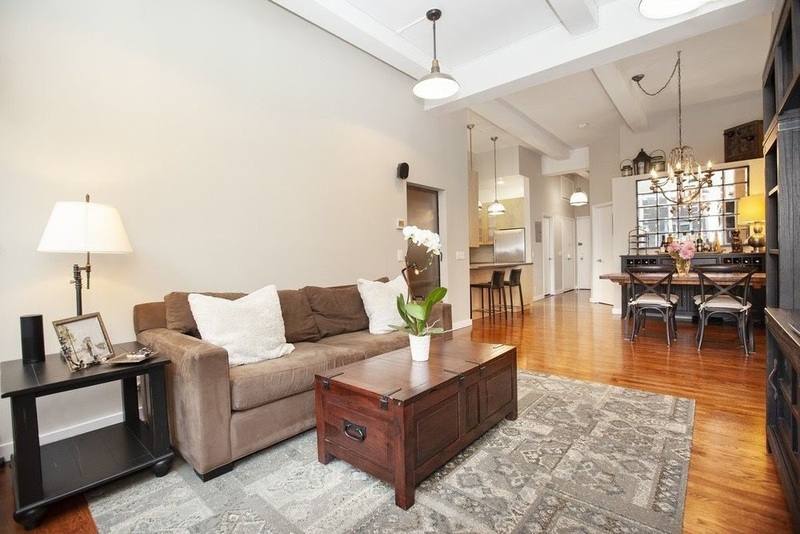 – FLATIRON LOFT! 1 Bedroom with Home Office/Nursery in a unique & modern doorman Pre-War Loft building. Fully renovated and in excellent condition, this apartment features 11.5' ceilings and great light through its extra large windows. At approximately 1000 square feet this generously proportioned home is open and airy with a huge living area equipped with custom lighting, and separate dining area across from an open kitchen – which features custom cabinetry, double length drawers, Italian glass tiles and Bosch and Viking appliances. The 21' long master bedroom has a massive walk-in closet along with a built-in custom wood vanity cabinet for even more storage. The large home office with a full-size closet is currently used as a spacious nursery but can easily fit a queen bed – or convert to a large office/guestroom. There is extra hidden storage located above the front and home office closets. Simply said, there is room-to-roam in this spacious and inviting home in a fantastic building & location!